Fred Perry was the first tennis player to win all 4 Grand Slam singles titles. He also created the first ever sweat band and later a white-cotton pique short sleeved polo to be worn at Wimbledon from 1952. The polo top was an instant success and, in later years, attracted attention of subculture group ‘The Mods’. The demand for the polo top grew, along with a wider variety of colours. 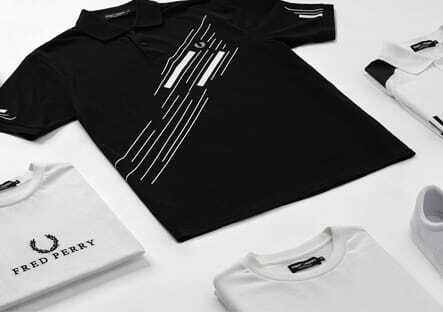 Fred Perry is no longer seen as just another sports brand, but part of a cultural movement.